Unfortunately, Quark, the main coin in the algorithm, is in error on all exchanges. Cryptopia is discontinuing it for some reason. There just aren't many coins for this algorithm anymore, since exchanges are discontinuing them. The algorithm itself may be so unprofitable at some point that it won't be worth mining at all. 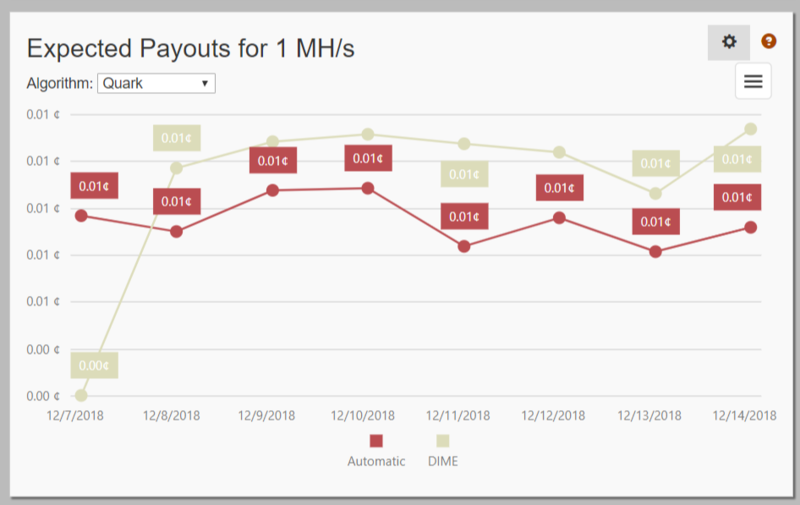 yeah i can see alog of quark coins arent getting attention anymore, however the automatic setting is being compared to DIME an enabled, active coin on this pool. shouldnt it be doing better or equal to the enabled coin on auto? We need Qubit, Quark is great but 40watt more on Baikals for a much higher profit, DGB Qubit as example is far superior and it would be great to have the algo instead of Quark or additionally to it.